Therefore, everyone need to remember the IMEI serial number. In this article we will guide you how to check the IMEI number of any device. Simply follow the article. 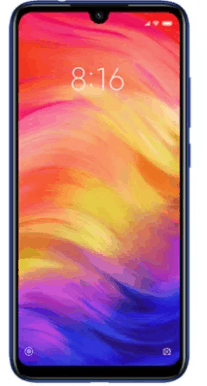 Xiaomi Redmi Note 7 is a beautiful smartphone recently released in 2019, January. The phone support Hybrid dual-sim mechanism. The size of display is 6.3 inches with a resolution of 1080×2340 pixels. The version of software installed on it is Android 9 pie or MIUI 10. The internal memory of the phone include 64 GB with 4 or 6 GB RAM or 32 GB with 3 GB RAM and also support micro-SD card upto 256 GB. The camera of the phone is quite awesome including dual 48MP+5MP primary camera with dual-LED flash including features and 13MP secondary camera for selfies. The connectivity medium of the phone include WLAN, Bluetooth, GPS, Infrared port, Radio and USB. It is powered by Li-Po 4000 mAh battery. When you buy a new phone, the first thing you need to do is to look at the box of your phone. On many device boxes, the IMEI number is printed on the box. Therefore, look everywhere on the original box of your phone. When you find the IMEI number on your smartphone box, then simply note it down. Tap on the phone dialer icon. Then type “*#06#” in the dialer. Wait for it and it will display the IMEI number of your device. Simply Navigate to “Settings” on your phone. In settings, locate the “About phone” option. Tap on it. After that, locate the “Status” option and tap on it. In status window, you will see the option “IMEI Information”. Just tap on it and you will see the IMEI number of your device there. Let us know in the comment section, if face any problem regarding the article.